In January 2018 I went on a sailing ship cruise in the Caribbean with Sail Windjammer on the S/V Mandalay. 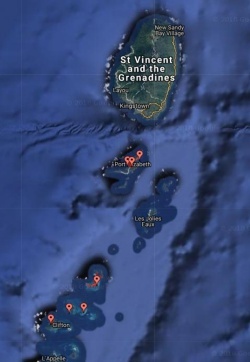 From Grenada we sailed north to the Grenadines, with Union Island the first stop. We had a nice hike around Union Island. From there we sailed to Mayreau for some snorkeling. In the evening we had a pub crawl on Mayreau, which was nice. From Mayreau we continued on to the Tobago Cays, where we stayed at Petit Rameau. We saw a lot of sea turtles at Petit Rameau, snorkeling otherwise was not interesting. From the Tobago Cays we sailed to Canouan. On Canouan we had one of the excursions that actually took place, although not a very interesting one. The interesting thing on Canouan are the Red-footed Tortoises (Chelonoidis carbonarius, german: Köhlerschildkröte, french: Tortue charbonnière à pattes rouges). 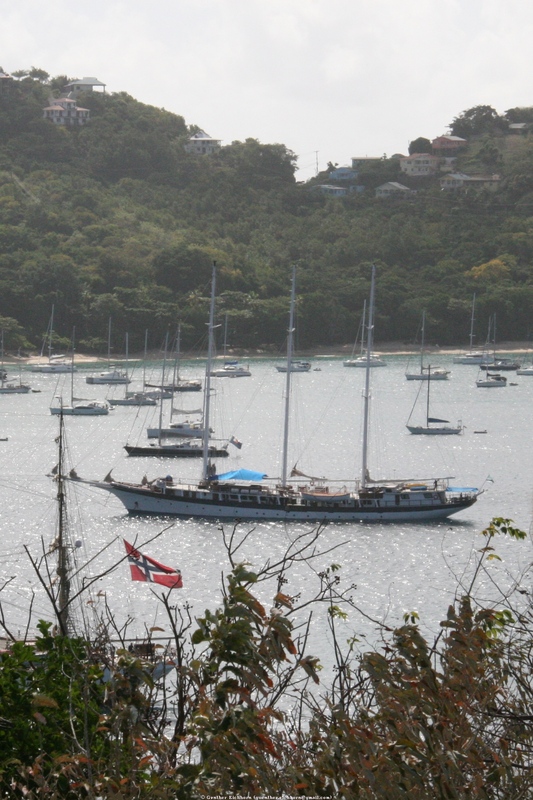 From Canouan we continued on to Bequia, our last stop in the Grenadines. I went on another excursion there that included a visit to a sea turtle sanctuary. One man has started to collect Hawksbill Sea Turtle hatchlings (Eretmochelys imbricata, german: Echte Karettschildkröte, french: Tortue imbriquée) and raises them till they are about 5 years old, then releases them. From Bequia we sailed north, past Saint Vincent to Saint Lucia. That night of sailing was a wild ride, we had quite heavy seas.